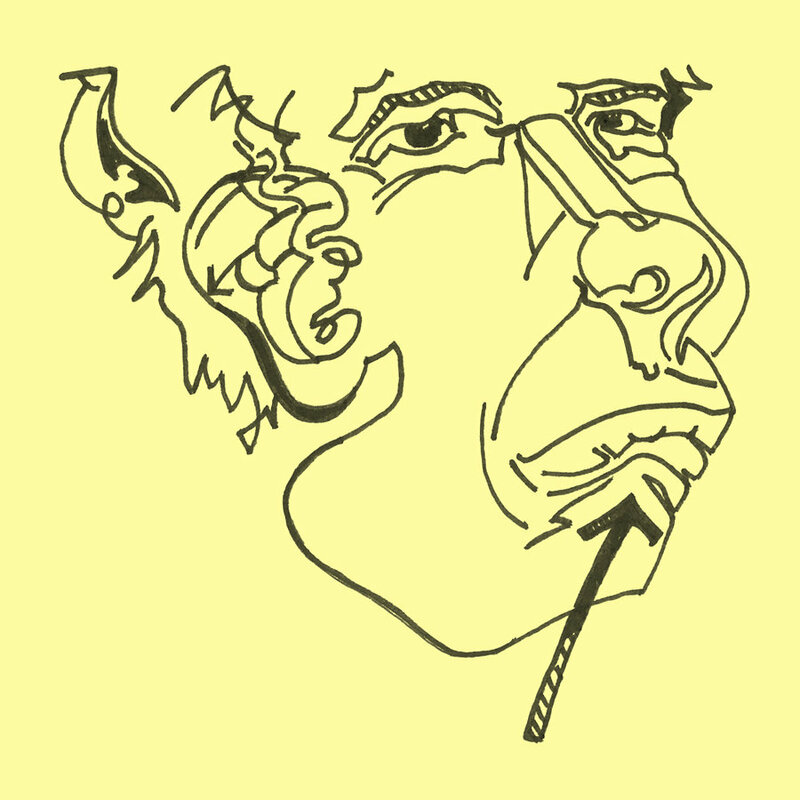 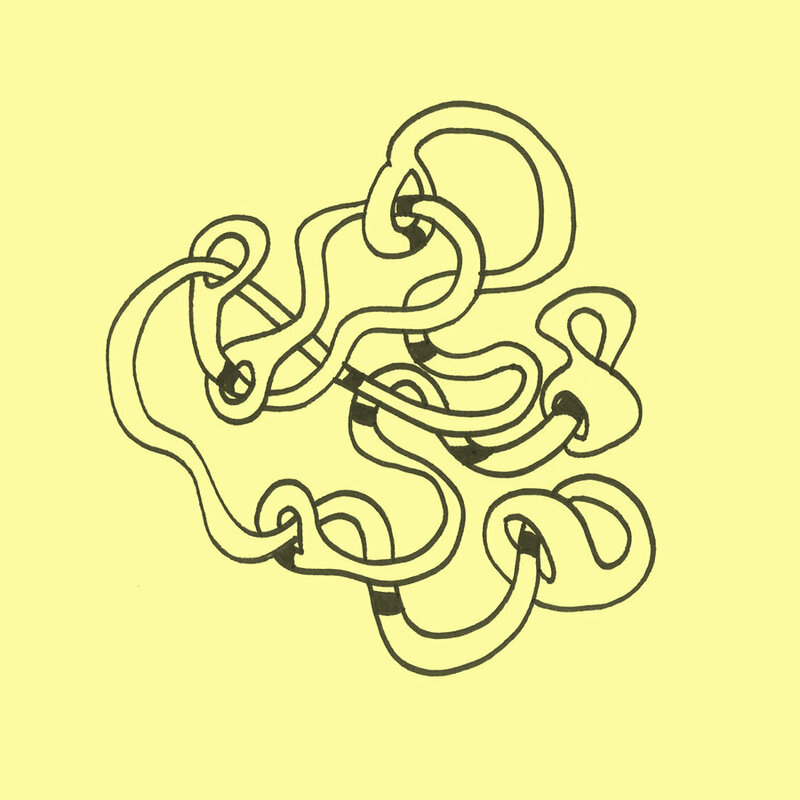 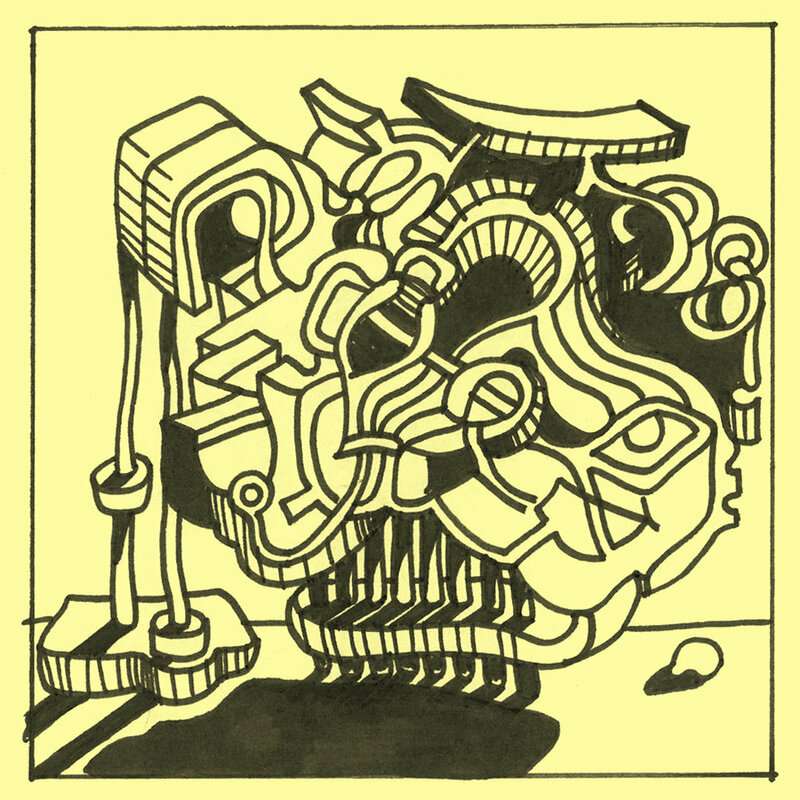 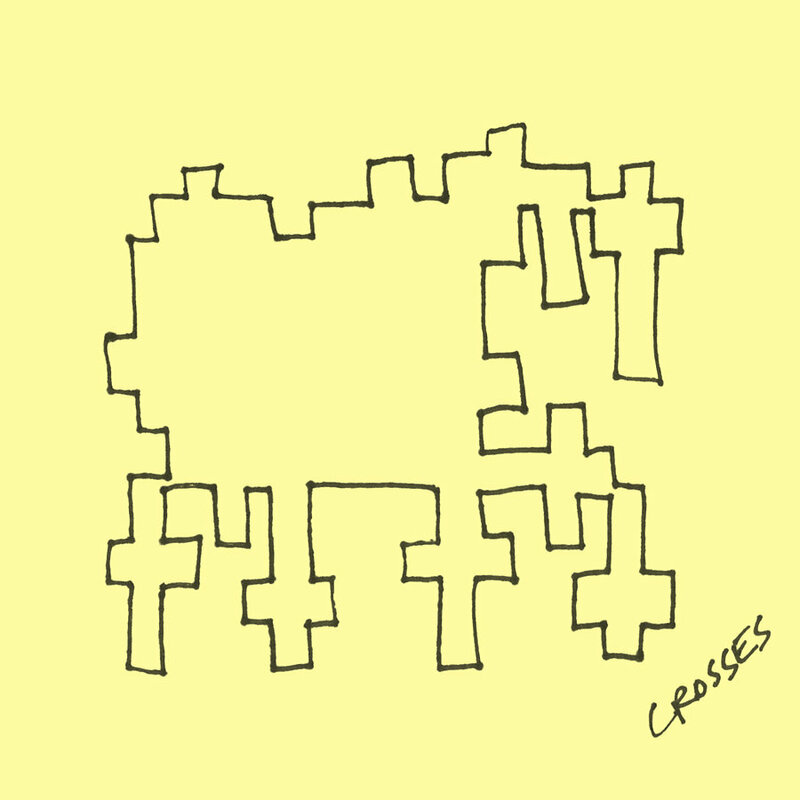 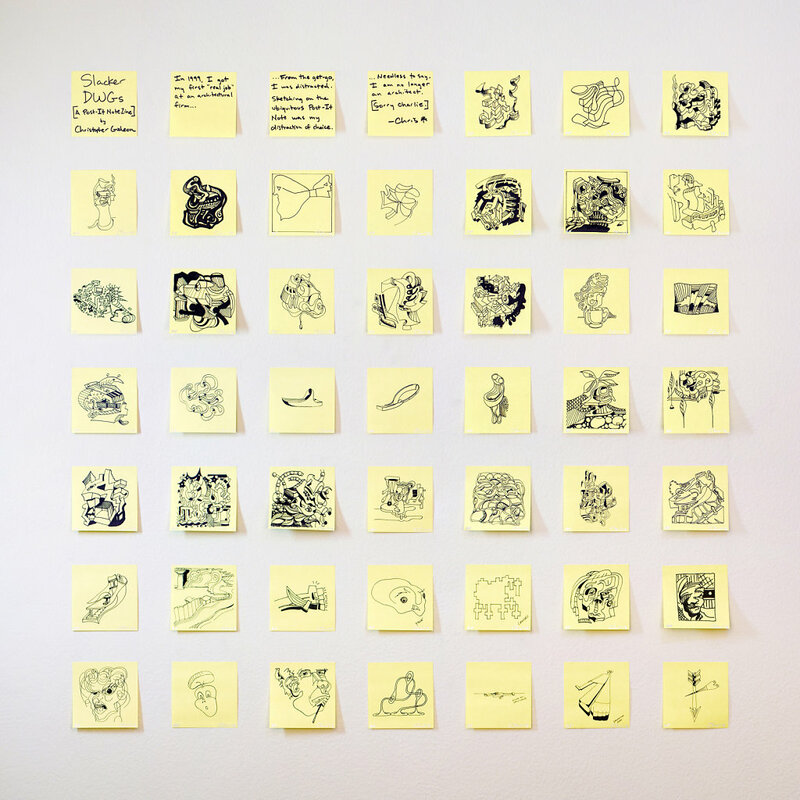 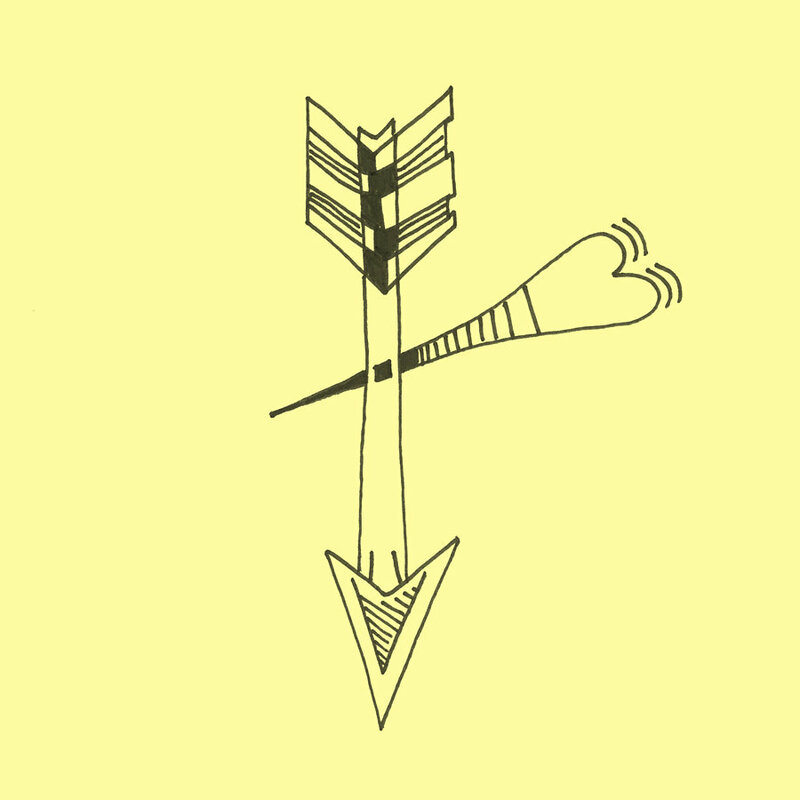 Many years ago, I generated a large number of small drawings, most of which were pen and ink on Post-it® Notes. 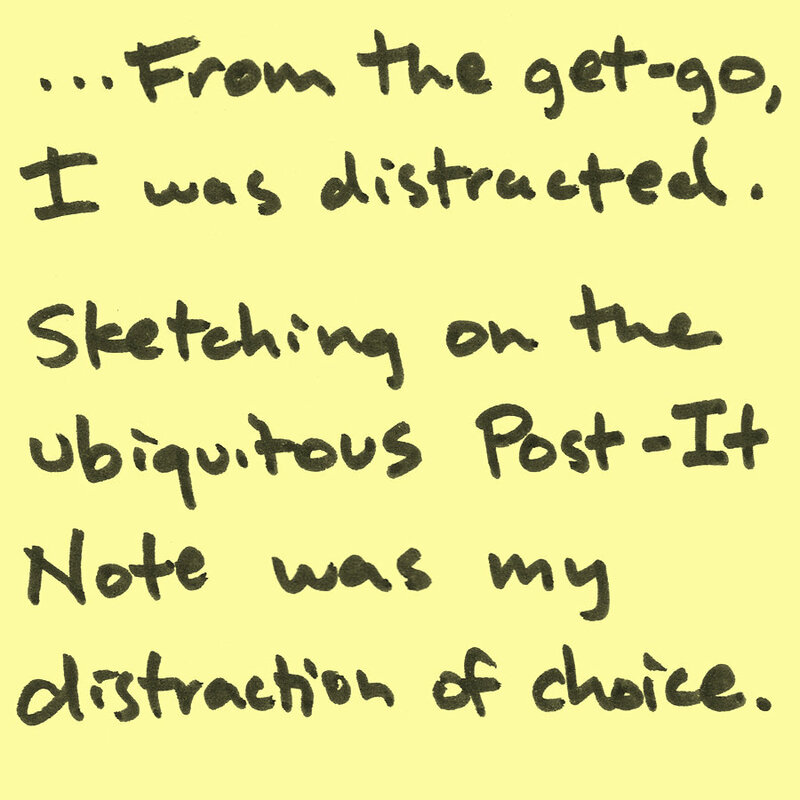 They were created at a time in my life when I was spontaneous and uninhibited. 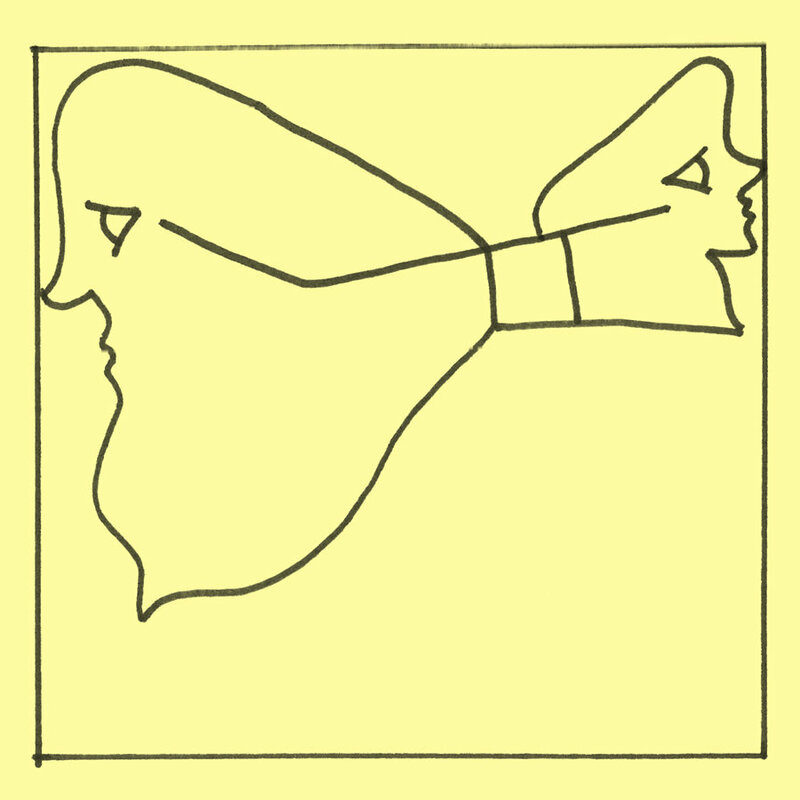 I often thought the drawings had potential, but the majority of them remained hidden away. 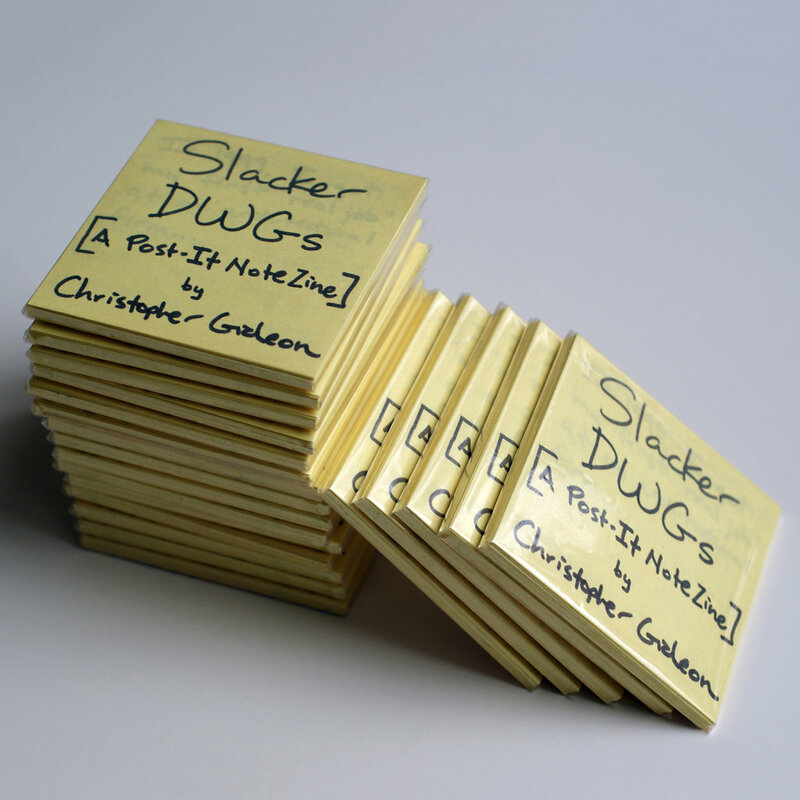 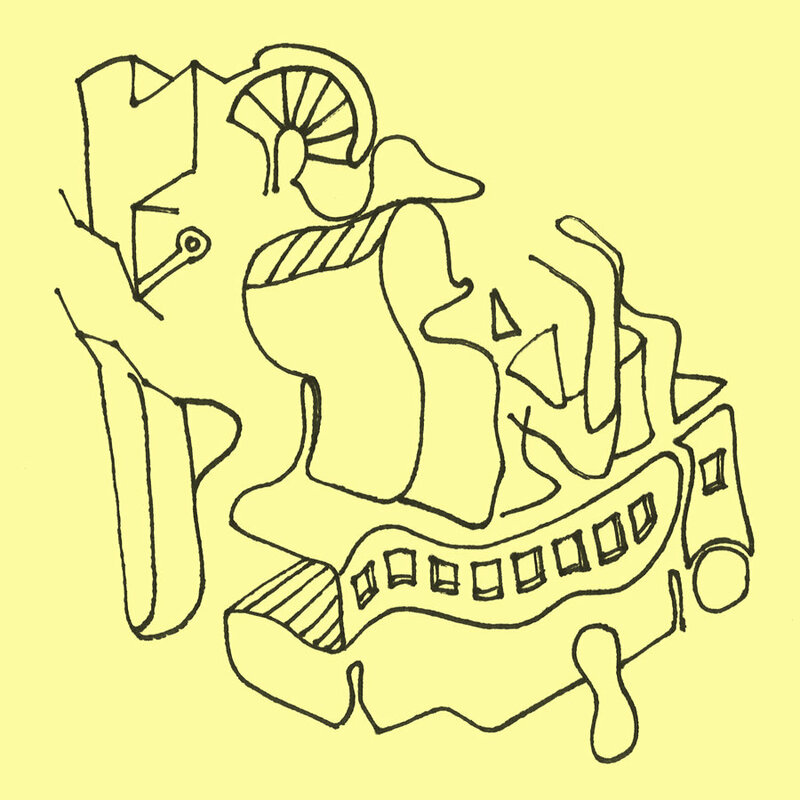 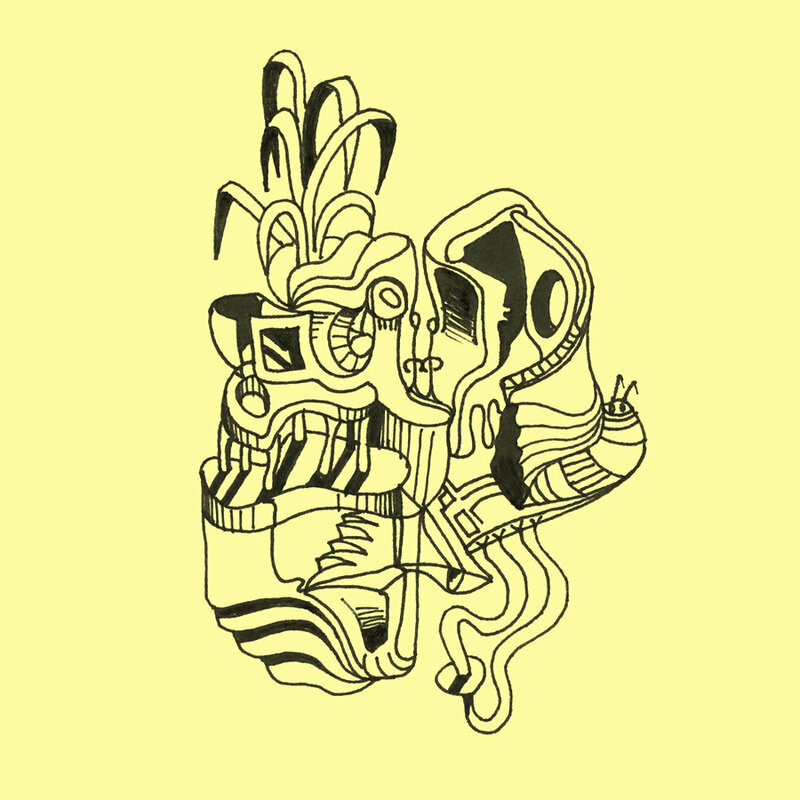 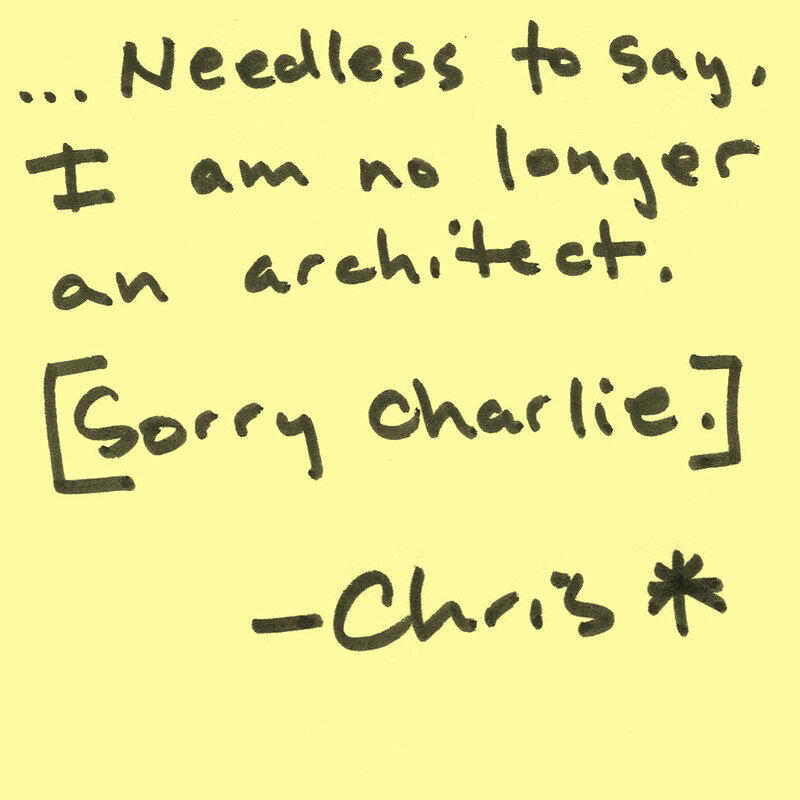 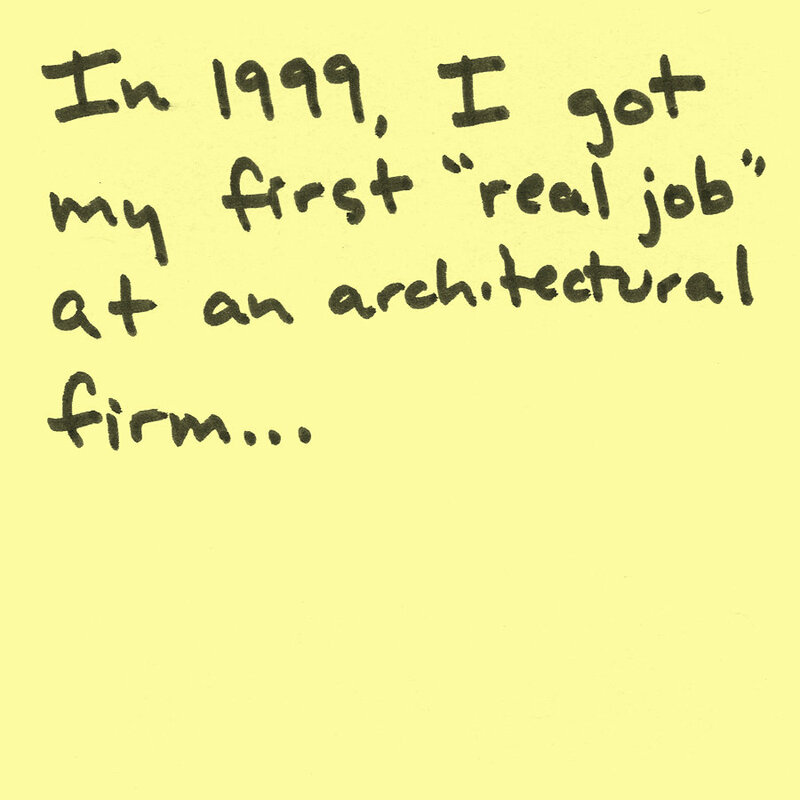 Today, a select few have finally found a home in "Slacker DWGs [A Post-it® Notes Zine]", printed back onto the very medium that started it all: Post-it® Notes. 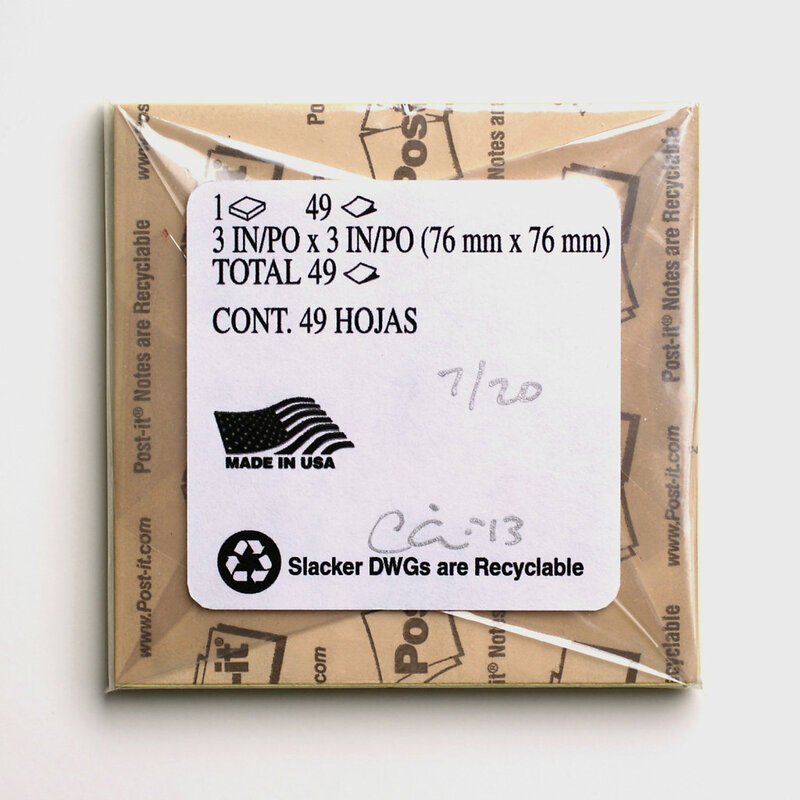 Inkjet on Post-it® Notes & Sticker Paper, Cellophane [Edition of 20 Pads of 49 Prints, Signed and Numbered], 3 x 3 in.